Purpose: To support the Store Management team in driving profitable store sales results. Achieve individual specific sales goals as established by the Field Organization. 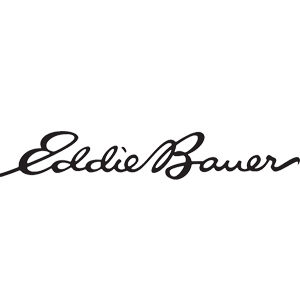 Provide a consistent and legendary customer experience aligned with Eddie Bauer’s Creed and Guarantee. • Receive daily feedback and coaching to improve selling behaviors. • Meet or exceed expectations for daily individual selling results as well as company established key business driver expectations on a personal level. • Work together as a team to achieve store sales goals. • Utilize company programs and tools to participate in skill practices to improve personal selling behaviors and performance. • Adheres to company Standard Operating Practices as communicated by Store Management or Sales Floor leader. • Work with Sales Leader daily to complete tasks that supports and maintains a strong brand presentation to maximize the customer experience. • Adheres to loss prevention methods and critical controls to meet shrink goals and minimize lost revenue. • Model our company Maxims and Values and the Sales Associate competencies. • Perform additional duties as assigned and necessary for the Sales Associate role. • High School diploma or equivalent if applicable. • 1 year of Apparel Retail experience a must. • Ability to sit/stand for long periods of time and climb ladders as needed. • Ability to reach, twist, and squat. • Ability to regularly lift and or move up to 20 pounds and frequently lift and/or move up to 30 pounds. • Ability to maneuver around sales floor, stockroom and office areas. • Store environment; location may be in a mall or street level environment. • Working frequently with the public and tackling difficult customer issues. • Ability to use Point of Sale and handle cash with accuracy. • Ability to utilize a Mobile Point of Sale and our Catalog Ordering processes. • Required to travel as needed. • Ability to work a flexible schedule to include nights, weekends and holidays. • Basic reading, writing and business analysis skills. • Regular attendance is an essential function of the job. See store to apply or apply through Indeed in the link below.